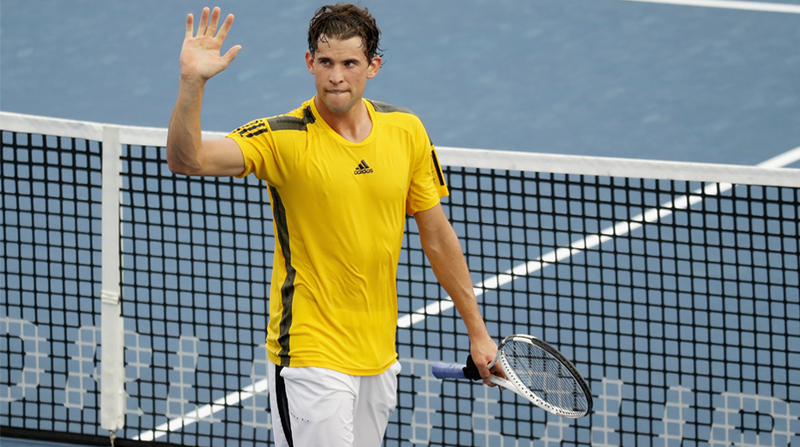 Thiem can now book a spot in the semi-finals of this elite year-end event with a victory Friday over Belgium’s David Goffin. Austria’s Dominic Thiem edged Spain’s Pablo Carreno Busta 6-3, 3-6, 6-4 here for his first victory of this year’s ATP Finals. Thiem can now book a spot in the semi-finals of this elite year-end event with a victory Friday over Belgium’s David Goffin, while Carreno Busta, who replaced injured world number 1 and countryman Rafael Nadal, has been eliminated from the tournament after losing his opening match. Bulgaria’s Grigor Dimitrov, who also is in the Pete Sampras Group, has already booked a spot in the last four of this indoor hard-court tournament, while Swiss world number 2 and six-time champion Roger Federer has advanced out of the Boris Becker Group. Round-robin play continues Thursday in the Boris Becker Group when Federer takes on Croatia’s Marin Cilic (already eliminated) and American Jack Sock plays off against German world number 3 Alexander Zverev for a spot in the semi-finals.